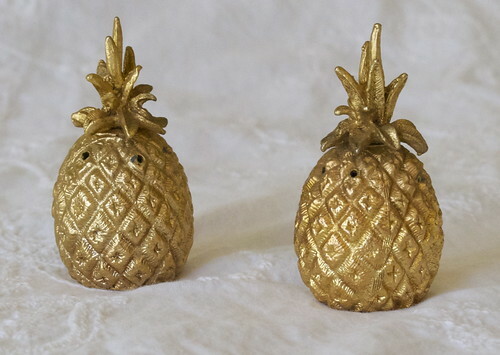 Here are a pair of adorable vintage gold gilt mini pineapple salt & pepper shakers! They are in great vintage condition with no dings or dents. They are quite substantial and have a little weight to them. These would make a perfect gift for someone! - Top unscrew to refill. - Marked 'S' and 'P' on the front.